In every generation there is a unique voice of reason concisely arguing the verity of the Christian faith. For more than 43 years, Ravi Zacharias has been this generation’s distinctive voice; “rightly dividing the Word” while inspiring the modern apologetics movement. The Baltimore Post-Examiner recently sat down with Ravi – the founder of RZIM – to talk about his work and the challenge of dealing, both logically and lovingly, with life’s toughest questions. BPE ~ You are an apologist for the Christian faith and an ardent proponent of the Christian world view. Apologetics is a term which is unfamiliar to the average layman, and yet it is an area many Christians must wade through on an almost daily basis. 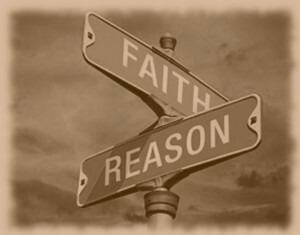 How do you define apologetics, and what is its relevance to the Christian believer? Ravi ~ Actually, even until recent times, most Christians did not know what the meaning of the term was, unless they were involved in academia in some way. The word apologetics actually is a transliteration from the Greek, where the word is apologia. The apostle Peter says to always be ready to give a reason, an apologia, for the hope that is within you. And to do that with gentleness and respect. The asking of questions is common to humanity. The Christian apologist’s task is twofold: first, to be able to answer those questions with gentleness and respect; and second, to clarify truth claims. Truth is often ambiguous or unclear, and people don’t understand the terms anymore, so the task of Christian apologetics in our times is very needed. C. S. Lewis used to say the question is not, as a Christian whether you do apologetics or not, but the question is whether you do it well or not. So everybody is an apologist, knowledgeably or unwittingly. Our whole ministry is geared to the proclamation of the Gospel of Jesus Christ, undergirded by apologetics. Apologetics is not the substance of what we do; it is the means through which we give the substance of the teachings of the Lord Jesus Christ. And we do this all over the globe, in hundreds of venues a year. We have a team of about 40 some apologists, positioned in 11 countries, and we are as busy as ever. BPE ~ When you say undergirding, I think about Norman Geisler using the term pre-evangelism. Ravi ~ Yes, I was a student of Dr. Geisler; I studied under him in the 70’s. 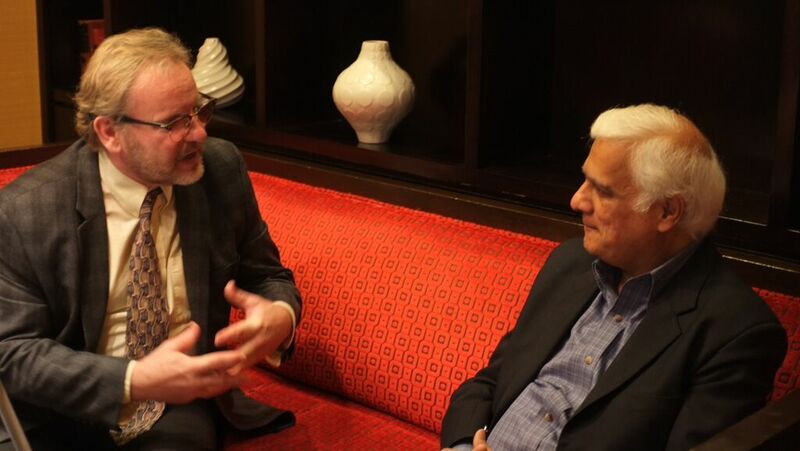 In fact, even as I’m speaking to you, I was with him last week. We were together as part of a program in Seattle, Washington. Yes, pre-evangelism is sort of – the Australians like to put it something like this: Bush clearing, clearing the obstacles so the listener can take a direct look at the cross of Jesus Christ. In a pluralistic society – a secularized society – in an almost hostile environment now towards things sacred, it is important how we do this and where we do this. That is what RZIM is all about. BPE ~ Would you tell us about your calling into the field of Christian apologetics? Ravi ~ I was born and raised in India. My ancestry goes back to the highest caste of the Hindu priesthood, the Nambudiri, which is from the deep South in Kerala. But several generations ago, evidently one of them was converted to the Christian faith. And since then, my parents became very nominally Christian; it would be better to say what they were not, rather than what they were. There was no clear understanding of what the teaching of Jesus Christ was all about. I came to Canada when I was 20 to pursue business studies. Two years into Canada, I felt that, with my own recent conversion experience in India, that I wanted to do something other than just business. So I took the theological training. I studied in Toronto, studied in Chicago, studied in Cambridge, and my goal then came to present the Gospel of Christ to a needy society. As I see our world right now, I have never seen greater confusion, greater loss of meaning, greater uncertainty, and greater fear of what looms in front of us. Politics has gotten out of control everywhere. Nobody sees a mascot or a leader, and everyone wants to know what really lies ahead here. But instead of thinking on the outside of all that’s wrong, the Gospel of Christ brings me inside. My life has to change, my life has to be transformed. Before asking the question of evil around me, I have to ask of the evil in me – my proclivities, my drives, my temptations, my struggles. And I believe only Christ is enough to transform my heart. And so, it’s sort of a multiplied opportunity of individual conquest. That’s the way I look at it. The Gospel of Christ, as we speak to the masses, is multiplied opportunity of individual conquest. His message conquers the individual, and life changes. BPE ~ One person at a time? BPE ~ Harold Bloom argues that we are becoming a Post-Christian society. Is he right, and if so, is it too late to turn the tide? Ravi ~ Yes, I think this was being talked about in the cultural revolution of the sixties and seventies, where we were heading. Everett Coop, Frances Schaefer were talking about it in the United States; Malcolm Muggeridge in England; prior to that, G. K. Chesterton. If you go back, actually, as far as William Booth. He was talking about all that was looming ahead, the possibilities of travel and knowledge, gain and profit making, and so forth. Yes, we are in a post-Christian era in that the terms are not understood, but ironically, we are still living off of the bequest of its values in the West. And once those values have been expended, and we no longer have the roots from which to draw, then we will find out the ramifications of it. Nietzsche, of all people – the atheist – warned us. He said, “Will there be any up or down left? Who’ll give us a sponge to wipe away the horizon? Will we need lanterns to be lit in the morning hours? Will we need to invent sacred games?” And so on. The non-theistic and the atheistic group can very cavalierly proclaim their liberation from these, but I warn them of what Chesterton said, “Whenever you move any fence, always pause long enough to ask why it was put there in the first place.” You cannot have a boundary-less existence, because your neighbor has his own boundaries, and who is going to give you the ethics between the two boundaries? If there is no objective moral law, relativism will take hold, and relativism ultimately will lead to self-destruction. BPE ~ I’d like to ask you about two of your book titles, because I believe – for most thinking people – the themes cut to the chase of life’s biggest questions. 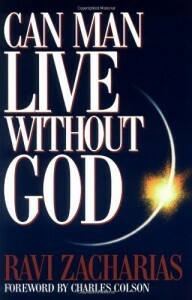 The first is: Can Man Live Without God? Can he? 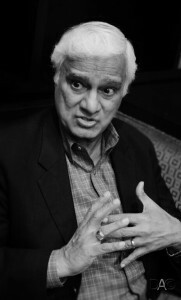 Ravi ~ This was a series of lectures I did at Harvard in 1993, I believe. And Chuck Colson was the one who phoned me and said, “I read about it; it’s so powerful.” He said, “Please put this into print.” I had not written ‘til then. And he encouraged me and convinced me to write, so I started writing. I took the theme from a quote by Will Durant; he said, “The greatest question of our time is not going to be East vs. West, North vs. South, Communism vs. Capitalism. The greatest question of our time is going to be, Can man live without God?” Now, can he? The answer is: pragmatically, ‘yes’ but coherently, ‘no’. And when coherence breaks down, there’s an implosion and a self-destructive mood sets in. For example, if there is no God, what does it mean to be human? Who are we in our essence? If we don’t know what it is to be human, what is humanism? There are seven different humanistic theories of who we are, from the one end of Huxley to Ayn Rand to Joseph Fletcher. You just have all of these various definitions from ego-centric humanism to love is the ethic; on what basis? So we are now standing with our feet planted firmly in mid-air. I would say, while theoretically a person may block God out, logically there will be a breakdown because ultimately all enunciation implies a moral doctrine of some kind. And if that moral doctrine is not absolute then the definer himself becomes undefined. That’s what we are living with – an undefined definer giving us definitions for our course, and we are being trapped in the quicksand of the absence of objective truth. 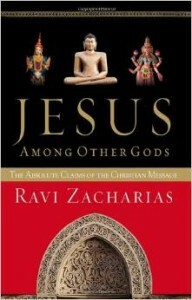 BPE ~ The second title is: Jesus Among Other Gods. You grew up with a Hindu background which teaches there are 330 million deities. Other faiths, of course, have their own deities and prophets. What makes Jesus different? Ravi ~ I think that’s the toughest question on which to respond. I did not personally grow up a Hindu; my ancestors were Hindus. I came from a nominal Christian background, but all of my friends were either Hindu, Buddhist, Jainist, or Sikh. I had no Christian friends growing up. My cricket team, my tennis team, all my schoolmates; it was always the same. And so I was immersed in it. So, yes, the 330 million deities is based on the fact that Hinduism is a fairly widely embracing system of thought. But they believe in two indisputable truths. Number one is that every birth is a rebirth and the law of Karma applies. It’s a pantheistic world view, as is Jainism, as is Buddhism, as is Sikhism. They’re all pantheistic. What makes Christianity different; very uniquely so? If I could give just four categories in which it is different. Number one – our origin. We are created Imago Dei: in the image of God. So we have an intrinsic worth of reflected splendor. No world view will tell us we have the image of God within us. They either make us divine or make us so far away from the divine that we can’t even get close. In Islam, the distance is unbridgeable. Number two – the incarnation. The Word became flesh and dwelt among us full of grace and truth says the Bible. The concept of grace is distinctive to the Gospel of Jesus Christ. No world view, no religion – carte blanche – no religion talks about reaching that communion with God without your works. You earn it. Whether its karma or it’s Islam talking about your good deed having to outweigh your bad deeds. These are not pejorative descriptions. These are actual and fair descriptions. You ask the Muslim how do you get there? The good deeds will have to outweigh the bad deeds. You ask the Hindu, how do you ultimately attain Nirvana? He will say Karma will have to be paid. You ask the Christian: the prodigal son comes home, and the father runs out to receive him and forgive him. The grace that God gives is unique to the Christian faith. So you’ve got creation, incarnation and transformation. The third is the new birth that Christ gives to you that is engendered by the power of God. The new hungers, the new desires. The goal of Buddhism is not to desire anything. The goal in Christianity is to hunger and thirst after righteousness. That hunger comes to you from the transformation of the work of Jesus Christ. The goal is not union with any personal absolute but (four) communion with God himself. So that in the creation, the incarnation, the transformation and consummation, the Christian faith is unique. BPE ~ You’ve traveled around the world and fielded questions from people from all walks of life. Are there any common questions which stand out? Ravi ~ Yes, I think so. More so, at least now, than it ever was because of the education which has taken the west by many younger minds. It’s interesting that when I was growing up, I never ever remember thinking of the problem of evil and suffering; never thought of it. It’s the given in those cultures. You see misery, you see misfortune, you see pain, you see suffering. It’s all part of the fatalistic way of looking at life. There’s a very famous film in India called Mother India, and one of the songs there says “If I come into this world, then I have to live. If living means drinking poison, then I have to drink it.” That was the Indian philosophy; that’s what we had to live with. But the problem now has become a real question because people are seeing their children’s strife; beheadings; the decimation of human life. The desecration of human life. So the question of where is God in all of this? That’s the question and it’s a very fair question. Can I really explain an all powerful and all loving God in this kind of a milieu with this kind of a context. That’s the toughest question, it’s that question of exclusivity. How can there just be one way. But existentialists believe with our youth, the most common question is one of meaning and purpose. Where do I find meaning in life? How do I come to significance? You know, where there’s an inner contentment. It used to be where if you had the money and the car and this and that, you would be all right, but some of the loneliest people in the world are those who have it all. Where does one go then when you have it all and still haven’t found meaning? I would say the problem of evil and suffering, exclusivity and meaning are the three largest questions which come up. BPE ~ You recently spoke at McLean Bible Church in Vienna, Virginia, and at the C. S. Lewis Institute Banquet in Washington D.C. What themes did you address at these events? At the C. S. Lewis Institute, they asked me to speak about “Standing in the Gap”. How do we as Christians stand in the gap between a hungering and skeptical world, and the proposition of truth in the person of Jesus Christ. How do we do that? My description is, how do you reach a generation that listens with its eyes and thinks with its feelings? That’s the way that I phrase the question to myself. Because it’s no longer just a logical argument. They see with the their eyes, they are watching, and that means the Gospel ought not just be heard but also seen; by the young especially. BPE ~ I wonder if you would share some of your thoughts on Lewis’ life and his work. Ravi ~ My thoughts on C.S. Lewis? You know, every now and then there emerges a skilled writer who is so unique that there will never be a duplicate. I think the same applies to Billy Graham. Billy Graham’s incredible strength was in combining the simple and the sublime. But there was an anointing to him when he got up and spoke; people listened. C.S. Lewis’s ability was to bring together the two poles of philosophical integrity and the beauty of storytelling. That was his, so he could write Mere Christianity, and tens of thousands have read it and responded to it, or he would write the Narnia Chronicles, and children would sit on the edge of their seats being told the story. Lewis was mainly a moral philosopher, and moral struggles are inescapable in every culture. I think Lewis’ own dramatic conversion from his search, as told in Surprised by Joy and allegorically in The Pilgrims Regress, reveal his strength. How he told it in story form and in allegoric form. So when he died in ‘63 actually , it’s ironic because it was November 22nd – obscured by the fact that the same day President Kennedy was killed. Lewis, Kennedy and Huxley all died on the same day. So Lewis’ death sort of went unnoticed, but today when I do studies at Cambridge and walk past the bookstore, I could see his books stacked front and center. He taught at both Cambridge and Oxford. So Lewis is not replaceable. 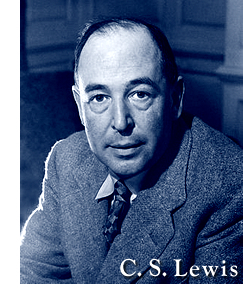 We can do our best to emulate him, but there was only one C. S. Lewis. BPE ~ I have to ask you, though, because I heard you say in one of your lectures, regarding the question ‘will there ever be anyone to replace Billy Graham?’, you noted that even as the apostle Stephen was being stoned, Paul was in the crowd. Ravi ~ Yes, but you see, you never replace a person, but you can succeed a calling. Persons are wired together uniquely. I’m a Christian apologist; I have apologetics built into me. The way God has hardwired me is to be Ravi Zacharais. 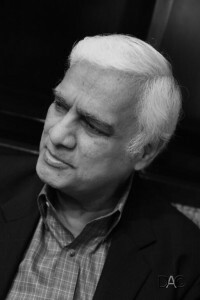 And Ravi Zacharais will always be Ravi Zacharias. But there will be some more brilliant and capable apologists who will come after me. They will bring a package all their own. That’s the uniqueness of what God distributes as gifts. And so with Lewis, and people like Tolkien and Chesterton and Muggeridge, you never truly replicate a person; you can fill a position and get someone else who takes on that role. I think Billy Graham would be the first one to say that. I don’t know in Billy’s case if just one person can do that. I think there will be many voices who, in a confluence of efforts, will bring that same message. I think that is God’s uniqueness. BPE ~ I know that people always ask you, “What is the first question you will ask God when you get to Heaven?”, but have you ever considered what you might ask Satan if you had a chance? Not that you’d get a straight answer from him. Ravi ~ I would say to him, ‘If you knew the scriptures which you quoted, what on earth were you thinking would be any other end to you than where you are now?’ To quote the scriptures and know that your destiny would be in the control of the supreme power of the universe, what on earth were you thinking? I think I will know the answer to that is: The seduction of power and the deception of evil will always lead you in a wrong headed direction. BPE ~ Is there a Bible passage which has been especially meaningful in your life? Ravi ~ My favorite Bible verse at various stages of my life, when I first came to know the Lord, Psalm 37:5, “Commit thy way unto the Lord; trust also in him; and he will bring it to pass.” Now as I’ve seen life transformed, it’s Romans 1:16, “I am not ashamed of the gospel of Jesus Christ: for it is the power of God unto salvation.” I see that replicated every day; the transformation of lives, from prisons to everywhere. Editor’s note: This is the ninth part of an ongoing series which will look at the places and people that make up the rich history and diverse nature of spirituality, belief and observance in Baltimore and beyond. Read the series here. Anthony C. Hayes is an actor, author, raconteur, rapscallion and bon vivant. A former reporter at the Washington Herald, and Voice of Baltimore, Tony's poetry, photography, humor, and prose have also been featured in Smile, Hon, You're in Baltimore!, SmartCEO, Magic Octopus Magazine, Destination Maryland, Los Angeles Post-Examiner, Alvarez Fiction, and Tales of Blood and Roses. Contact the author. So nice of you to stop by and pass judgement on Ravi and Religion as a whole. Because you’ve seen it all and know all apparently? Even if you don’t believe in Religion, why does it bother you? Think about that. Answer is because you can justify what you do with no accountability.